Braintree is one of the most peaceful places in the Essex area. It is a soothing town with a perfect blend of suburban people. Braintree is very rich in history, culture and tradition. These are some of the reasons why local and foreign travellers visit the town regularly. If you roam around the town, you will notice a cluster of newly constructed homes, apartments, condominiums and business establishments. If you visit Braintree today, you will observe that the city has traces of traditional and modern architecture. It was able to preserve its historic structures while making way to modernization. Nowadays, you will find industrial parks, offices and highly modernized shopping centres. Braintree is indeed a delightful place to live and a suitable place to work. There are so many beautiful places in Braintree and if you are going to visit the city, then you shouldn’t miss visiting these particular places. Hatfield Forest is one of the most visited spots for travellers who are searching for a little adventure. A lot of people also visit the forest during summer because it is a pleasant place to stay away from the heat of the sun. Braintree offers a few bird watching tours, which can be enjoyed by both children and adults. You will be taken to the best birding spots in the area such as Flatford Mill, Heybridge Basin, Manningtree & Mistley Walls and The River Pant & Fennes Estate. The second largest multiplex cinema in the UK can be found in this popular town. If you are fond of watching the latest films, then you’re more than welcome at Cineworld Cinemas. This is actually one of the favoured spots of tourists in Braintree. If you love shopping, then you should definitely visit the outlet shopping village known as Freeport. It offers all sorts of goods including bargain brands and high end labels. You can find clothing for men, women and children, and there are also bags, shoes, accessories and jewellery at reasonable prices. When travelling to a new place, one of the more important things to consider is a place to stay. Accommodation is not really an issue because there are so many types of hotels to choose from including high endand budget friendly hotels. There are also local B&B’s and apartments you can decide on. You can choose your accommodation that will suit your needs and budget. This hotel is ideal for travellers who are looking for comfortable place to stay at a reasonable price. The hotel is conveniently located at the heart of the city, the food is great, the rooms are homey, and most importantly, the price is right. This inn is just a few minutes away from the airport. 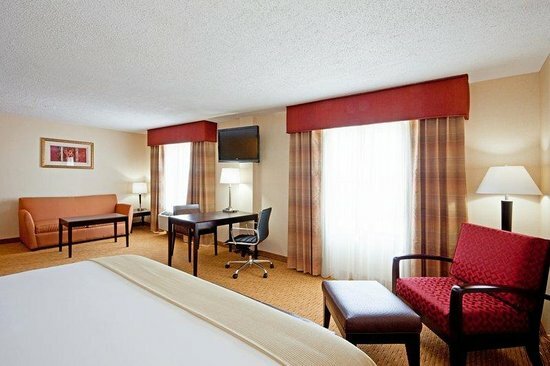 It offers attractive rooms at a reasonable price. It also offers amenities that can be very helpful for its guests. Some of these amenities are handicap rooms, parking, restaurants, tub and shower, WiFi services, boutiques, and stores. This little B&B is styled with modern fixtures and fittings, and is perfect for people on business trips. They provide many benefits to their guests including wheelchair access, underfloor heating and free wifi. Anton Lagdameo works in a private travel company within the UK. He helps people find the most convenient and affordable hotels in the Braintree area as well as different parts of the country. He has been writing about travel for many years now.